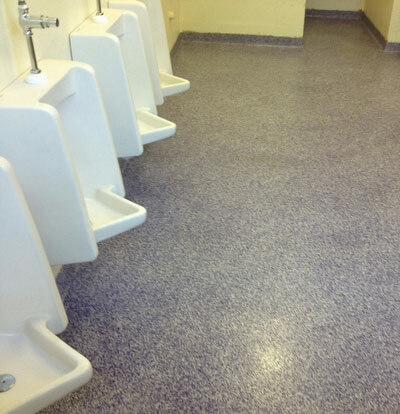 Everlast® Epoxy Flooring is uniquely equipped to handle the heavy foot traffic and constant dampness that comes with public restrooms and other “wet” areas. No matter the usage, our floors stay clean, healthy and slip-resistant. 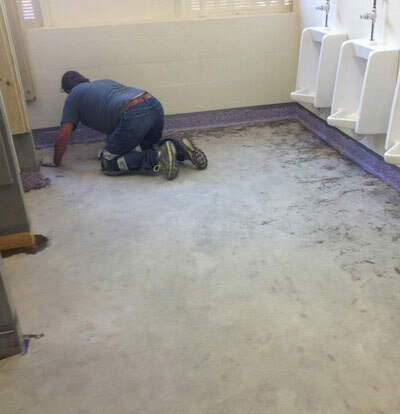 And, because these floors are easy to maintain, you’ll save time and resources keeping up with the constant cleaning, sanitizing and bleaching that comes with many public restroom floors. Most public restrooms are moist, humid environments—and they tend to be very slippery. Because Everlast® Epoxy Flooring is naturally resistant to liquid penetration, it’s the the ideal commercial flooring to handle the dampness and the humidity, while helping reduce slips and falls from day one. 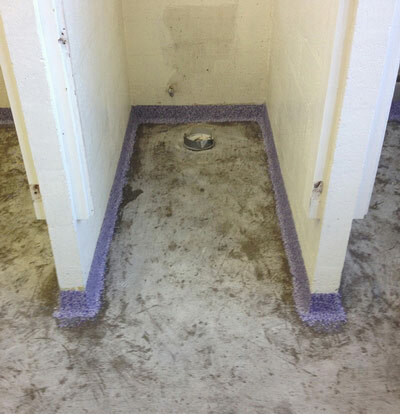 The busier your public restrooms are, the more its surfaces will suffer from natural wear and tear. 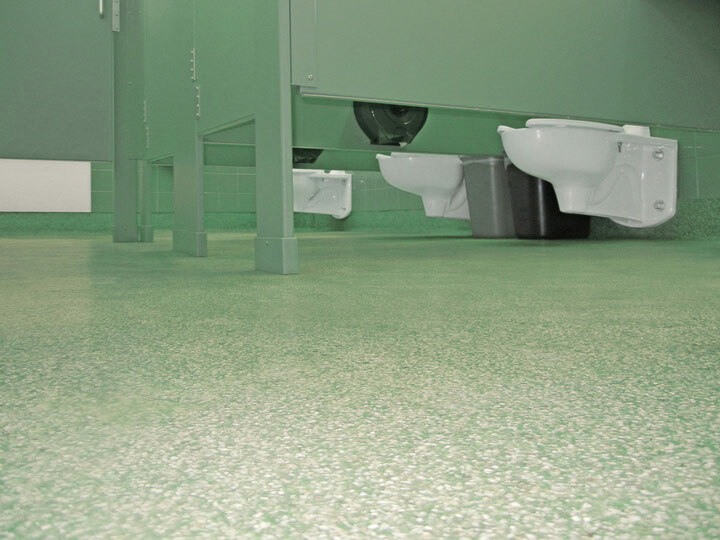 With an incomparable ability to resist fading, scratching, cracking and breaking, Everlast® floors help curb ongoing repair and replacement expenses, even in the busiest bathrooms. Our epoxy is made with superior resins and the right amount of aggregate, making it incredibly strong and durable no matter the environment. Just because it’s a restroom or wet area doesn’t mean it isn’t part of your brand experience. Our expert team can match your corporate colors, school colors or other branding requests—think custom designs and logos, integrated in your bathroom flooring. Going GREEN? Choose from eight popular colors in our exclusive Everlast® Eco-Friendly Floor system, made from recycled glass. Let’s face it—it’s hard to keep public restrooms clean and sanitary. But high-quality flooring can help. Everlast® Epoxy Floor is made with an EPA-registered anti-microbial additive that restricts the growth of microorganisms. And, with Epoxy floors, you’ll have the added benefit of reduced odor that comes from bacterial degradation. Because our antimicrobial component is mixed throughout the epoxy, protection is on the inside—and that gives your floors a degree of ongoing protection through and through. Another perk? Everlast® Epoxy Floors are easy to clean. Because your new floor works together with Everlast® Floor Care so you won’t ever have to mop your floors again—because the floor surface is non-porous, dirt and grime are easily removed. Just rinse the floor with clean water and a squeegee and you’re done! The alternative? Everlast® Epoxy flooring can be pressure washed, with no worries about water leaking under the floors. Our floors are chemically resistant against urine, strong detergents, and disinfectants, and can withstand even the toughest elements. 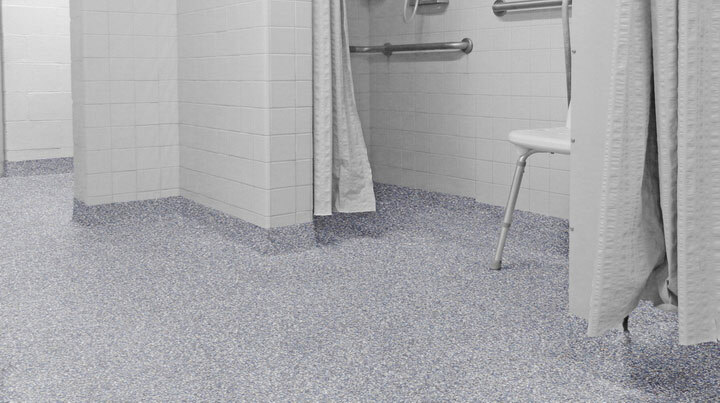 Call today for a FREE sample and estimate and learn more about our public restroom and wet room flooring options, installation process and pricing.